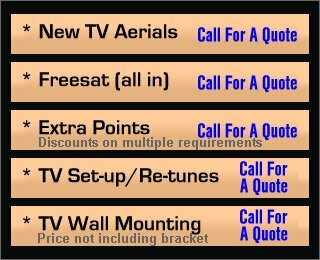 Digital TV & Satellite Installation, Repair and Maintenance throughout South East London and the whole of West Kent. 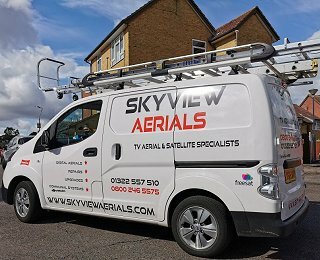 We are a friendly, family run company, established in 1995, operating our services to South East London & the whole of West Kent. Areas include Greenwich & Lewisham, Bexley & Bromley, Dartford & Gravesham, Maidstone & Medway, Sevenoaks, Tonbridge & the Weald. 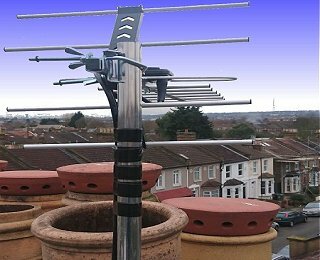 Our company specialises in the installation of digital terrestrial reception equipment. 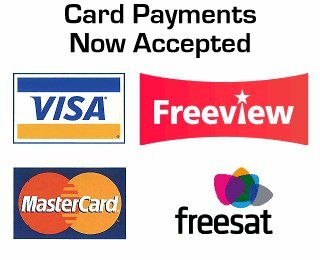 We also specialise in the installation of digital satellite systems. 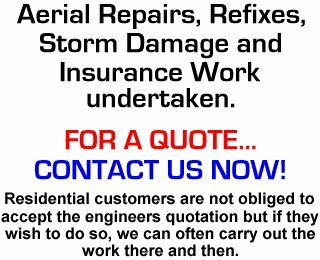 Our engineers are fully accredited and insured, all installations carry a two year guarantee.